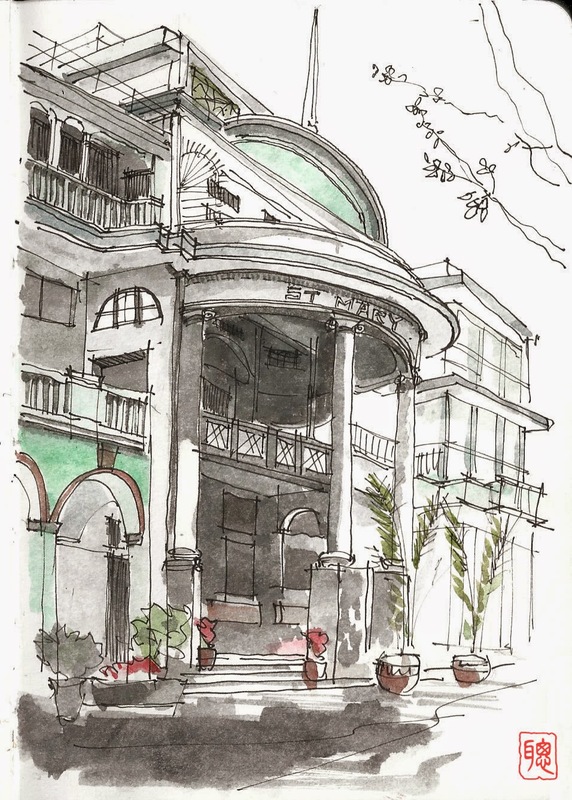 Urban Sketchers Hong Kong: St. Mary's Canossian College 115th Anniversary Open Day. St. Mary's Canossian College 115th Anniversary Open Day. St. Mary's Canossian College Open Day. The school started with only two classrooms for boys and girls in response to the need for a school in Tsim Sha Tsui, Kowloon in 1900. The small school admitted 30 pupils and was named St. Mary's School. The school developed rapidly as the population in Kowloon grew. In 1960 the enrolment was 2500 including the Primary Section. In the same year the Secondary Section was named "St. Mary's Canossian College".